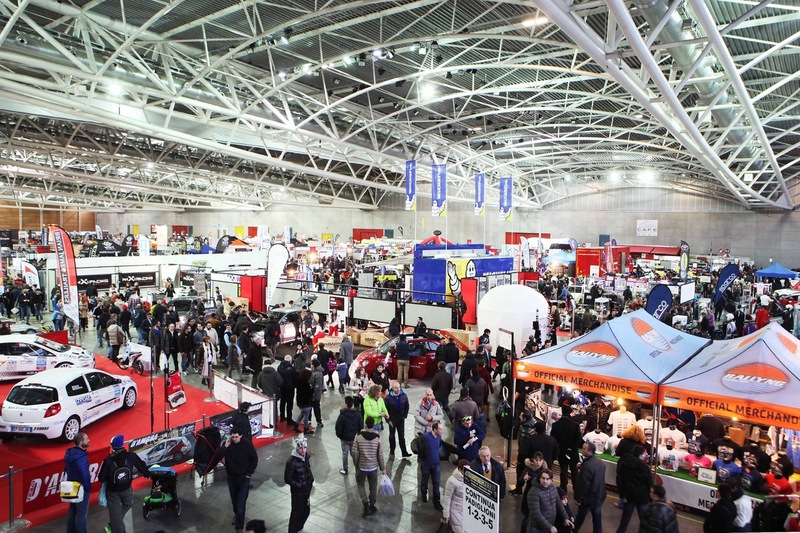 ATTENTION: If you want to register as exhibitors in the spare parts sector , send an e-mail to: mauriziodagostino@yahoo.it. If you wish to register as exhibitors in the modeling sector , send an e-mail to: info@funtoys.it ; while if you are PRIVATE and you want to participate, you must send to info@automotoretro.it the images of your cars: behind a careful selection we will let you know if you can participate or not ( if so, we will send you the participation form). By filling in this form, you may request to be officially accredited for the next edition of Automotoretrò and Automotoracing. **Structure: red fireproof carpet, modular structure h. 250 cm with black aluminum uprights and gray chipboard panels along the boundary lines with other exhibitors, 1 table 120x60 cm, 2 black shell chairs, n. 3 spotlights 100 W. Electrical installation: electrical connection up to 3kW, n. 1 electric panel with life-saving system. Graphic: nominative pole. TUESDAY 29 JANUARY 2019: 08.00 a.m. – 08.00 p.m. | WEDNESDAY 30 JANUARY 2019: 08.00 a.m. – 08.00 p.m. | THURSDAY 31 JANUARY 2019: 08.00 a.m. – 01.00 p.m.
On Friday, Saturday and Sunday morning, exhibitors with passes will be able to enter the halls through the gates starting at 8.00 a.m.
SUNDAY 3rd FEBRUARY 2019: 07.30 p.m. – 11.00 p.m. | MONDAY 4TH FEBRUARY 2019: 08.00 a.m. – 08.00 p.m. The phase of disassembly will begin on Sunday evening ONLY AFTER THE LAST VISITORS WILL BE RELEASED. STRICTLY FORBIDDEN TO TURN ON THE ENGINES OF VEHICLES IN THE HALLS. UNTIL THE DOORS WILL NOT BE COMPLETELY OPEN WILL NOT HANDLE THE MEANS AND IN ANY CASE ONLY AFTER NOTIFICATION OF PERSONNEL. The exhibitor passes are awarded based on the exhibition space demand. Each pass is valid for the 4-day event. Passes will be assigned as shown below. Each additional expo pass will be sold at a cost of € 20.00 each. Children up to 10 years enter free. From 10 to 12 reduced (but it is only done in cash because they have to see the document). For the disabled: free entry, both the disabled and the guide, the holders of card A; reduced only for the disabled card holder holders D.
*If you need different connections, contact the administrative office. BEA srl, in the capacity as data controller, hereby informs that the personal data and contact information voluntarily provided shall be processed both electronically and in paper format for the purposes of satisfying your contract request and, therefore, allow sending and receiving of the newsletter. Such purpose makes consent in accordance with Article 24, paragraph 1, letter (b) of Italian Decree-Law n. 196/03 unnecessary. Should the contact information not be provided to BEA Srl, you shall not be entitled to receive the newsletter. Your data shall not be communicated and will only be shared with those specifically put in charge of data processing. In order to exercise the rights specified in Article 7 of Decree-Law n. 196/03, simply contact BEA Srl, with headquarters at 3 Via Boucheron, Turin, at info@automotoretro.it. GENERAL REGULATIONS OF THE EVENT. To complete and make the registration effective it is necessary to pay a participation fee of € 244.00. It is possible to pay it directly by bank transfer.